After seeing three month-to-month increases in a row, Canada saw the total value of building permits for the residential sector slump in May. According to Statistics Canada data released Wednesday, the tally for home building permits reached $3.9 billion, a 13.5 per cent decline from April. Seven provinces saw the value of residential building permits drop in May, though Ontario and Alberta drove the decline. British Columbia, however, bucked the trend and saw the biggest gain in values. Following a monthly decline in April, the value of multi-family dwelling permits dropped 22.9 per cent to $1.6 billion in May. The decline was due to fewer construction intentions countrywide, save for British Columbia, New Brunswick and Nunavut. Permits for single-family homes also fell, though not as dramatically as the condo sector. 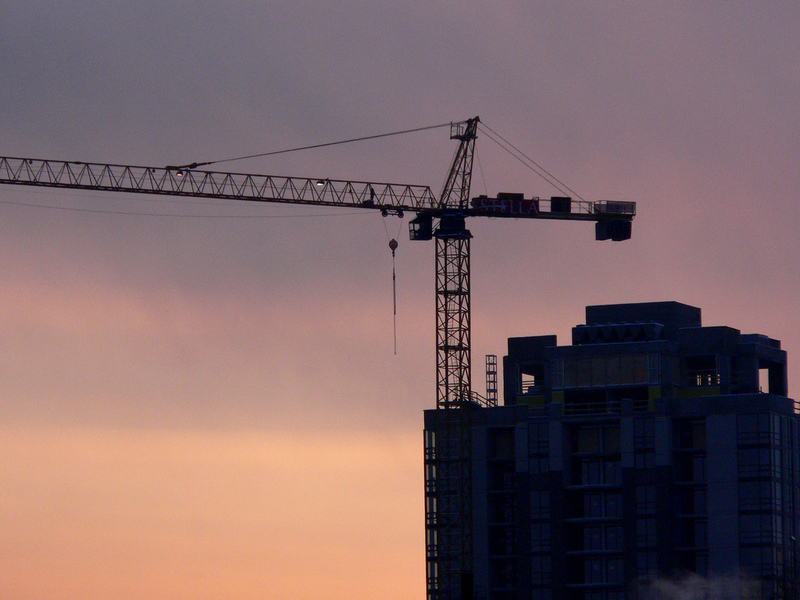 There were $2.3 billion worth of building permits for the property type, a 5.5 per cent decrease from April. This was the third decline seen in the last four months and Ontario and Alberta once again recorded the biggest decreases. Municipalities authorized the construction of 15,381 new dwellings in May, a 14.8 per cent drop from April. There were significantly fewer construction intentions for multi-family units with 9,719 units issued, a monthly decline of 20.6 per cent. Single-family home also declined but a much lesser rate of 2.8 per cent to 5,662 units. The non-residential sector also saw monthly declines in the value of building permits: they fell 16 per cent to $2.8 billion. The total value of permits also fell in 16 of the 34 census metropolitan areas studied by Statistics Canada, with Toronto seeing the biggest drop, largely due to a fall in activity for institutional buildings and multi-family dwellings. The decline comes after activity was up in April. Calgary also saw building permits decline, largely due to fewer intentions for multi-family dwellings. Meanwhile, Hamilton and Edmonton saw the biggest gains with the former seeing a boost in activity for institutional buildings, and the latter seeing more building across the board.